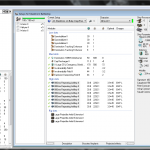 There are a vast number of players made third party applications for EvE® Online. In this page you will find some of my favourite applications and also self made software. Click on the screenshots thumbnails for a full size picture. Notice: there are many more great software that are not listed here, these just happen to be frequently used by me in my audits. ISIN is an internationally standardized code used by financial institutions to indicate a specific security, asset or contract class. A NEISIN is an ISIN expecially tailored for EvE Online. NEISINs are valid “real life” ISINs and like these they have the neat ability to be self checking codes and therefore harder to typo. They are useful to make it easier to track and search for specific investments. 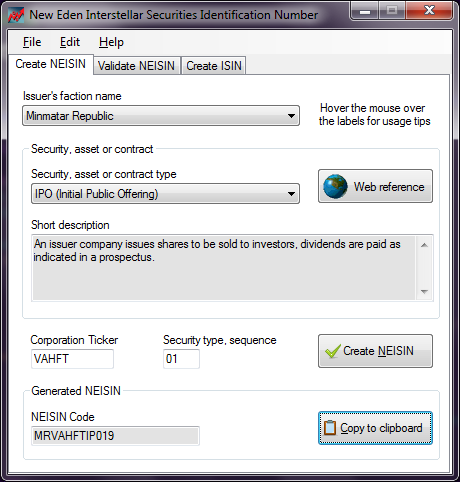 NEISINs borrow from a tested “real life” concept that could help bring some order into the rather chaotic investments scenario in EvE. This coding scheme is going to be the one adopted by investments whose proponent or auditor is Vaerah Vahrokha or one of her appointed representatives. Application details: Vahrokh.com NEISIN page. 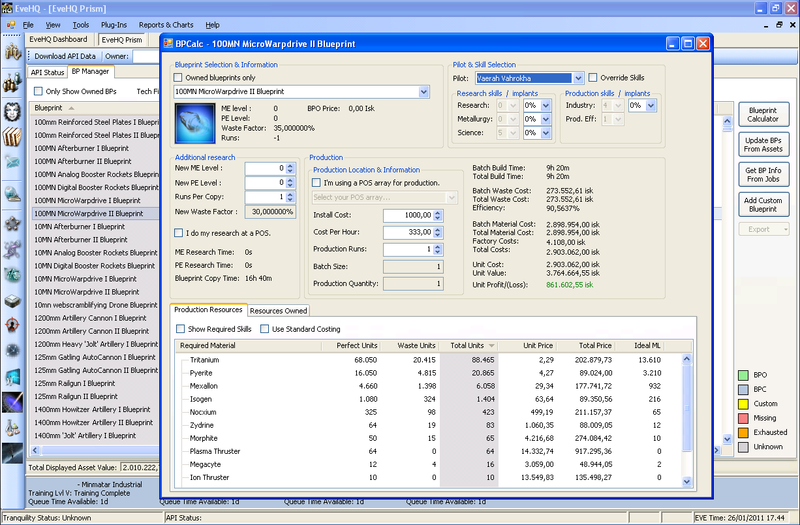 JEvEAssets is a very neat software to keep an accurate, searchable inventory of items, assets, outstanding market and industry orders. 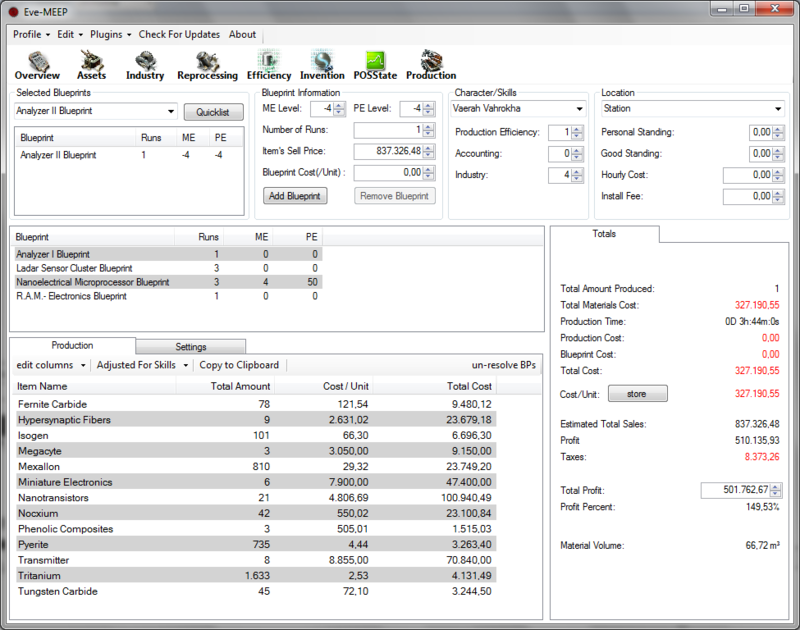 It supports configurable profiles, multiple characters per profile, assets querying by multiple criterias, calculating total or partial assets values taking values from EvE-Central.com and much more. It is also a quite actively developed application, with caring developers who are open to suggestions. Application details: JEvEAssets web site. This is a very popular application, to the point that even when its original developer ceased working on it, another took his place. 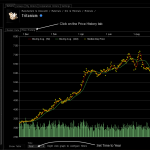 EvE Trader helps traders and auditors at estimating their (or someone else’s) profits and to draw some cool looking graphs based on a series of customizable criteria. Application details: EvE Trader web site. As perfectly explained on the author’s web site, EVEWalletAware (EWA) is meant both as an offline wallet viewer and trading/accounting helper for the MMORPG EVE Online. EWA utilizes the EVE API to download your wallet transactions and journal. The application development has recently speeded up and now EWA rivals other alternatives. 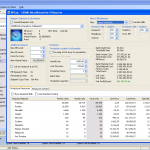 it’s quite easy to achieve a precise estimate of the cash flow without dozens of obscure parameters. it tends to be less annoying than the norm about API updates time outs, exceptions and such. it comes with full support for multi-character grouping into “logical units” called Virtual Characters. 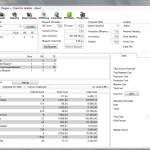 This feature gives a practical overview about the total worth and activities of its constituent characters. it will not choke on large amounts of data like other similar applications do. Despite this, it won’t require installing awful or large third party support software. windows stay open and with pertinent data even when switching characters, therefore comparisons and look ups are made easier. 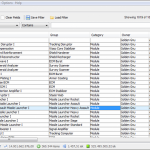 optionally, it comes with a simple yet neat utility to automatically update every character and corporation data in the background. 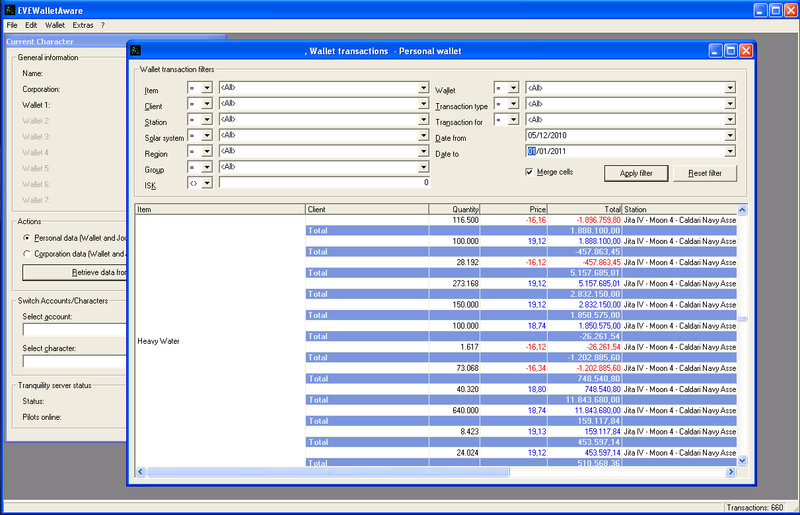 Application details: EvEWalletAware web site. 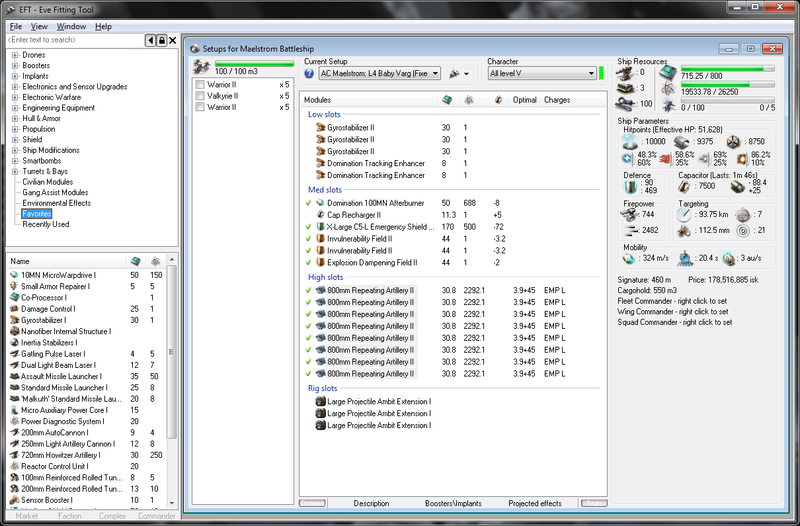 EvE HQ is a comprehensive and polished package of several plug ins and tools aimed at covering the possible needs of the average capsuleer. While the offered features are not unheard of, there are some little gems here and there that are not covered by other packages. There are few obscure plug ins, not included with the standard distribution, that give some amazing analysis advantages. Application details: EvE HQ web site. EvE-MEEP is a valuable tool for the industrialists. It covers many aspects, from invention to manufacturing, from reprocessing to managing one or more POSes, from assessing the blueprints in possession to checking the production times and efficiency. The application keeps slowly growing in the amount of features. 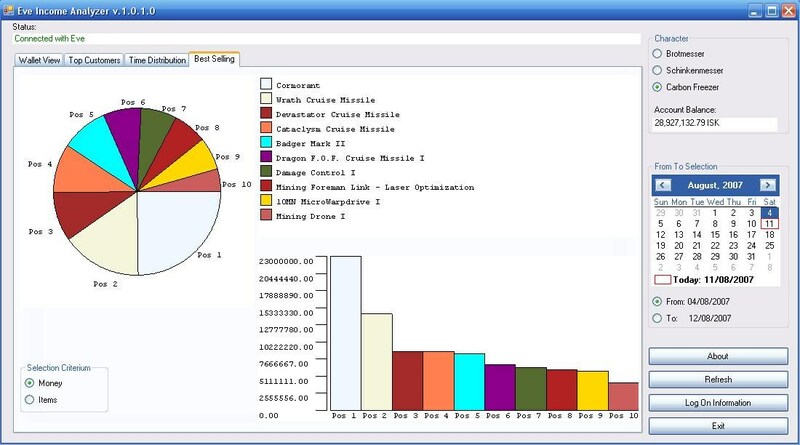 Multi-account management, assets inventory, market orders and even a graph showing the wallets history (general character’s wallet but also every corporation division). Application details: EVE-MEEP web site. EvEMon has born as offline character’s skill training monitor. 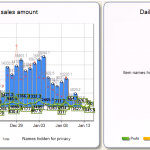 Subsequently it added an host of new features, from attributes optimization to skills planning, from game client window management to quick market orders watcher. Frequently updated, EvEMon is still the prominent skills monitor application, with an host of functionality and utilities no one else provide (i.e. pop ups when skills complete, warnings if skills training completes during server downtime and much more). Application details: EvEMon web site. EFT is a very valuable tool for everyone interested at studying “what if” scenarios (“theorycraft”) involving fitting ships with equipment. EFT allows to import pilots statistics from the EvE API and check them against the fitting requirements for whatever modules, rigs, drones and ammunitions, without the need to actually purchase and try anything. With EFT it’s also possible to check if a certain fitting is compatible with a certain ship limits, to calculate how much offensive and offensive power will be achieved and even to plot graphs showing damage dealt vs resists vs ships distance. Application details: no official web site but there is this nice EFT illustrated site. 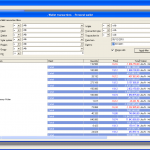 Automatically extracts character information from the account. Can administrate all characters used in the game. The analysis time can be set over different time frames. Will provide several views on the data in upcoming future. 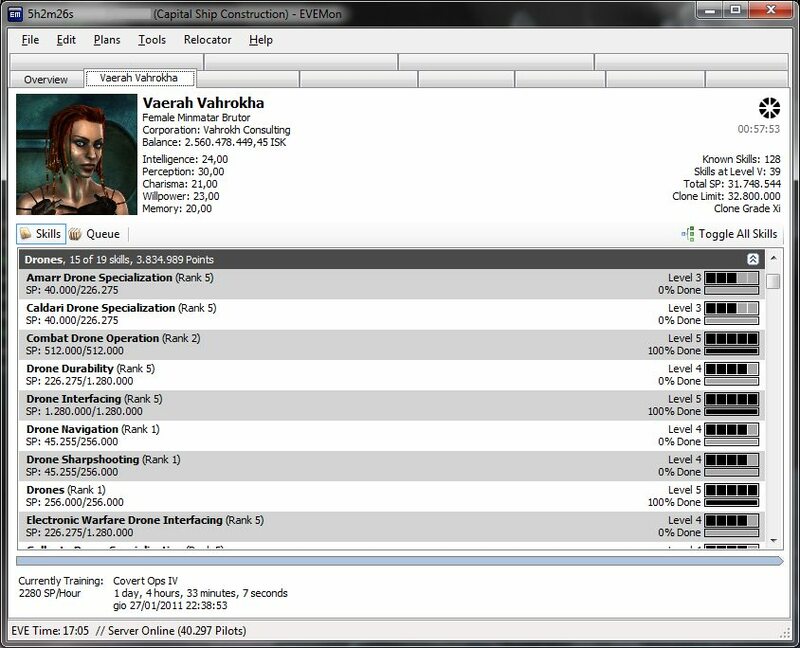 Since development on this powerful applications appears to have stopped, Vahrokh.com is releasing an updated version that will work with EvE® Online Tyrannis 1.4. 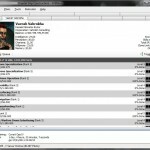 Application details: Vahrokh.com updated EvE Income Analyzer download page. 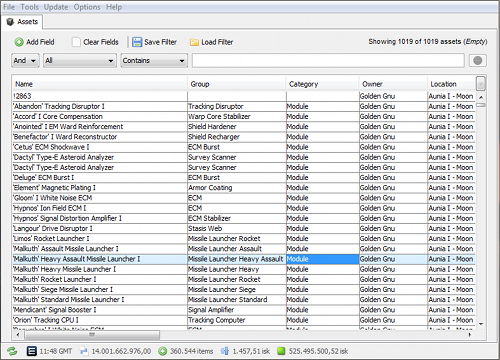 Original application details: EvE Income Analyzer web site. 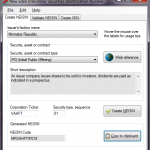 An International Securities Identification Number (ISIN) uniquely identifies a security. Its structure is defined in ISO 6166. Securities for which ISINs are issued include bonds, commercial paper, equities and warrants. The ISIN code is a 12-character alpha-numerical code.